The moments immediately following an auto accident can be hectic and full of confusion. In addition to checking for serious injuries, summoning police and emergency medical personnel, and taking photos of the accident scene and any related injuries and property damage, accident victims also have to call their insurance company and start the claims process seeking financial benefits for damages. Of all the items on a post-accident to-do list, alerting the insurance company sounds like it would be the simplest. After all, you pay the insurance company for its services, so it can be tempting to assume that your insurance company is on your side and working with your best interests in mind. However, accident victims would do well to remember that insurance companies are for-profit businesses, dedicated to protecting their bottom line, and what you say to an insurance agent after an accident can harm your accident claim or lawsuit. Keep reading to learn how to carefully and effectively communicate essential information to your insurance provider, as well as five costly statements you should avoid making. Stay calm, cool, and collected. You have a business relationship with your insurance company and injecting emotion into that relationship can make you—and your accident claim—needlessly vulnerable. Provide the facts and nothing but the facts. Avoid making small talk with the insurance agent, embellishing details, or speculating about the accident. Be careful not to say anything that could be misconstrued by the agent and used to question or downgrade your claim. Don't volunteer information. Only provide answers to questions you are specifically asked. If you don't know the answer, don't guess. Instead, let the agent know you don't have that information. Decline to make a recorded statement. You're not required to make a recorded statement after an accident. If asked to do so, politely refuse. These recorded statements may be used as your official account of the incident, and misspeaking can negatively impact your claim or case. 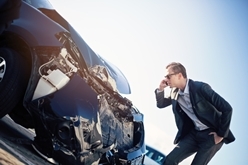 “I'm sorry, it was my fault.” Apologizing after an accident may seem natural, but admitting fault—even to your own insurance company—can do irreparable harm to your claim, as well as any potential civil lawsuit. “I don't have a lawyer.” Telling your insurance company that you don't have legal representation lets them know that they have the upper hand in negotiations, which may result in them making a ridiculously low settlement offer, if they make an offer at all. “I'm not hurt.” Many car accident-related injuries don't become fully apparent until days—or even weeks—after the incident. Stating that you weren't injured can make it incredibly difficult to successfully pursue compensation for injuries discovered later. “Here's the contact information for my family, friends, or doctor.” Giving out contact information for family or friends involved in the accident, or even the doctor who treated your injuries, can jeopardize your claim. Even if these people are well meaning, you can't be sure that they won't say something that might harm your claim. “I accept your offer.” Early settlement offers frequently fail to address the full range of concerns and expenses that an accident victim will encounter. Never accept a settlement offer without first reviewing it with your attorney. If you or someone you love was injured in an auto accident caused by the negligent or reckless actions of another driver, we can help you explore your legal options. Contact the Morris James Personal Injury Group today to schedule a free initial consultation to discuss your case. Our team of experienced attorneys is ready to help you fight for the financial compensation you deserve.